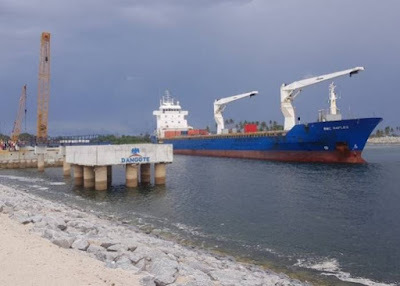 The Nigerian Ports Authority (NPA), says it is expecting 20 ships carrying petroleum products, foods and other goods to berth at the Apapa and Tin Can Island Ports from Jan. 29 to March. The NPA made this known in its “Shipping Production’’ on Tuesday in Lagos. The News Agency of Nigeria (NAN) reports that three of the ships would sail in with petrol. According to the report, the other 17 ships are carrying bulk sugar, general cargo, base oil and containers carrying different goods. It said 21 ships had arrived at the ports waiting to berth with general cargo, containers, buckwheat, diesel, aviation fuel and petrol.